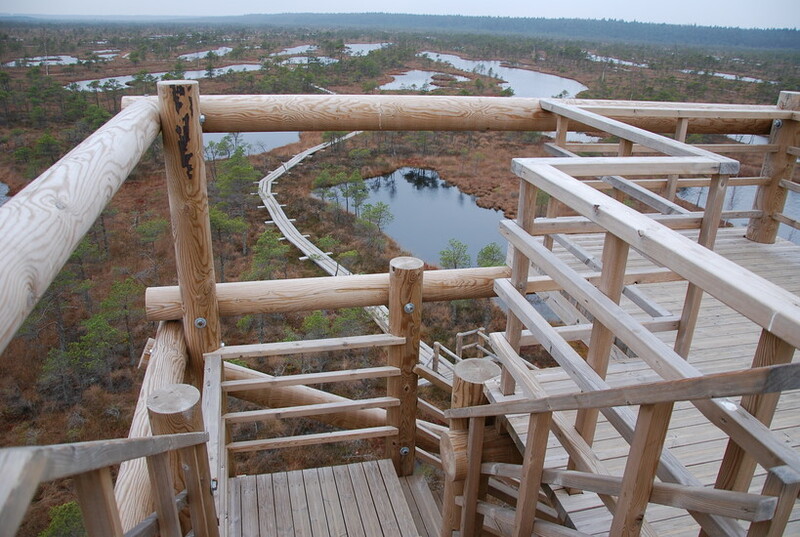 Although most tourists rarely venture out this far, the wildlife reserve and national park at Ķemeri is one of Latvia’s most impressive natural treasures. 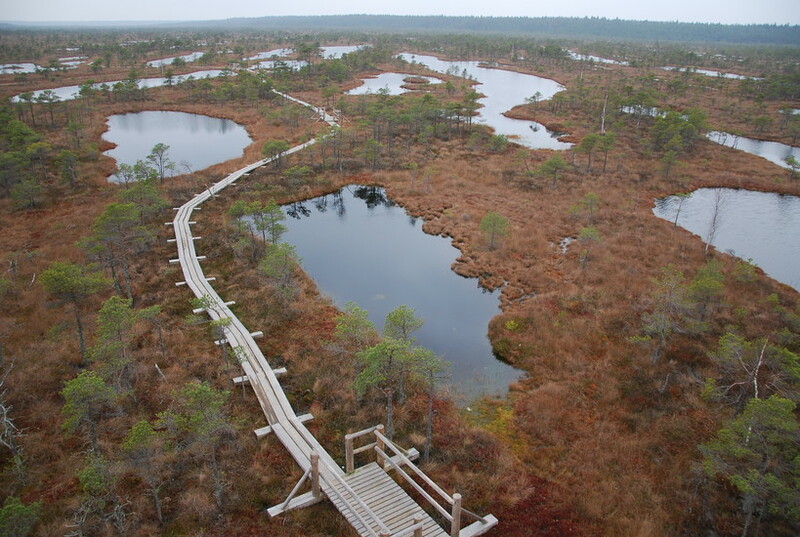 Its ancient raised bogs, swamps, forests and lakes were created roughly 8,000 years ago when the sea retreated to its current position. 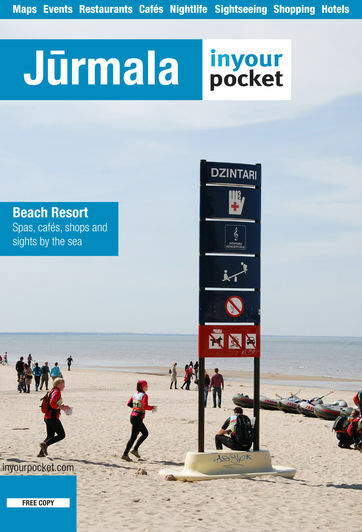 It's only an hour train ride from Riga or roughly 30 minutes from the Majori station in Jūrmala. The easiest and most popular trail is the Lielā Ķemeru tīreļa taka, which is an easy 3km hike from the Ķemeri train station. Simply cross the tracks to the left, take the road leading away from the station and the town and then follow signs for the trail. You’ll cross a highway and then pass a cemetery in a pine forest before reaching the entrance to the park, which you’ll recognise when you spot a large map of the area and two public toilets. 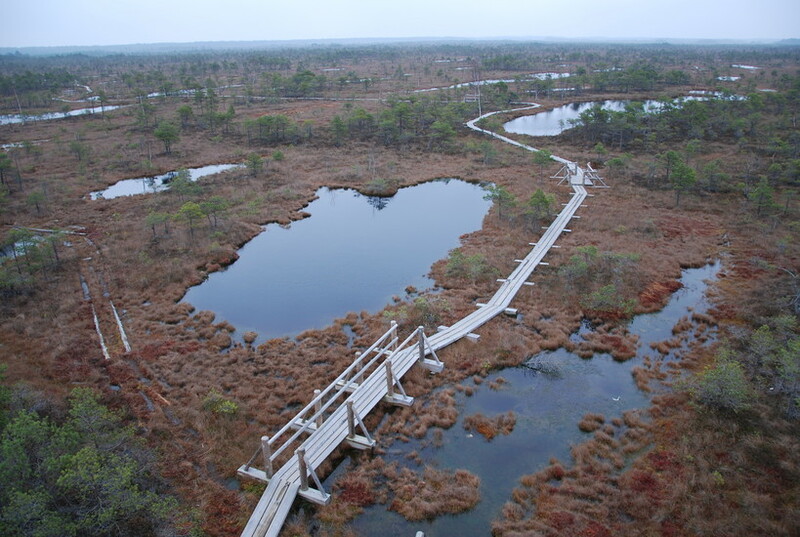 A recently refurbished 3km boardwalk takes you through a picturesque landscape of stunted trees, red sphagnum moss and dark pools of water at this raised bog. 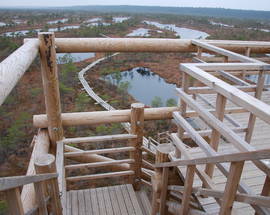 An observation tower located in the middle of the boardwalk affords visitors fantastic views of this natural wonder. 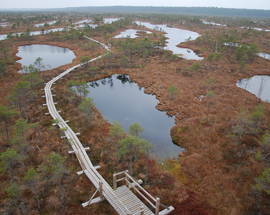 Birdwatchers, however, might prefer the Slokas ezera taka which can be found roughly 3.8km northwest of the Ķemeri station down Emīla Dārziņa iela and Tūristu iela. You can also stop at the sulphur spring pavilion on the way as well as the partially restored Ķemeri Hotel, a neglected national monument that's an impressive sight from the outside. Follow signs for the ‘Slokas ezera taka’. The actual trail and boardwalk is just over 3km long and takes you along the lake and also includes a 7m-tall bird watching tower located on a floating platform on the water. You can also take a short detour from the trail and visit Lake Melnezers or extend your hike all the way to the beach at Jaunķemeri by following Jaunķemeru ceļš until you hit the sea. 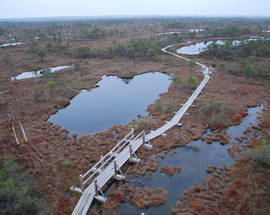 Admission to the park is free, but bear in mind that parts of this trail can be flooded after intense autumn rains and some of the boardwalk is in poor condition, so dress accordingly. We do, however, recommend you download a free map of the area with extra information in English.